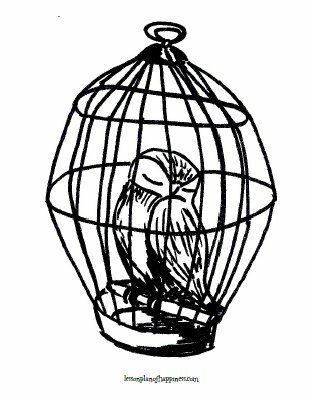 A coloring page of a pet owl sleeping in its cage. Click on the picture to go to the full-sized PDF! These works are subject to copyright. Please do NOT reproduce them elsewhere on the web!